The cause of the fire has not been ascertained yet. 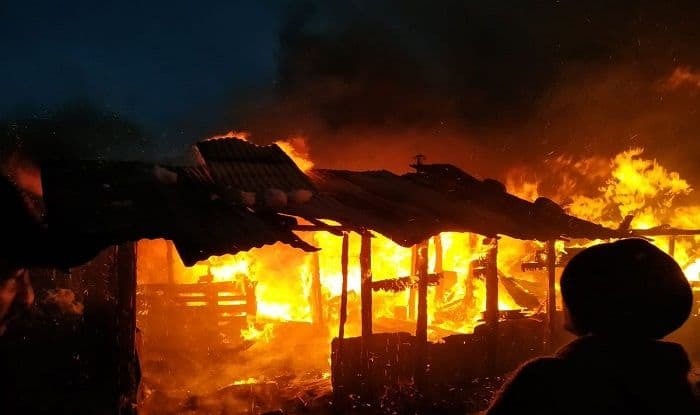 New Delhi: A major fire broke out at Bahang in Kullu district in Himachal Pradesh, news agency ANI reported on Saturday. In the fire, shed of labourers were gutted. The incident took place in the evening. Fire tender was present at the spot. No injuries have been reported yet. The cause of the fire has not been ascertained yet. Earlier on January 9, a Nepalese national was charred to death after a fire broke out at a roadside eatery in Shimla, a police official had said. The deceased, Mohan Singh (24), was working as a waiter at the eatery in Chalaunthi which comes under the jurisdiction of Dhalli police station. Police got information about the incident at around 4 pm.